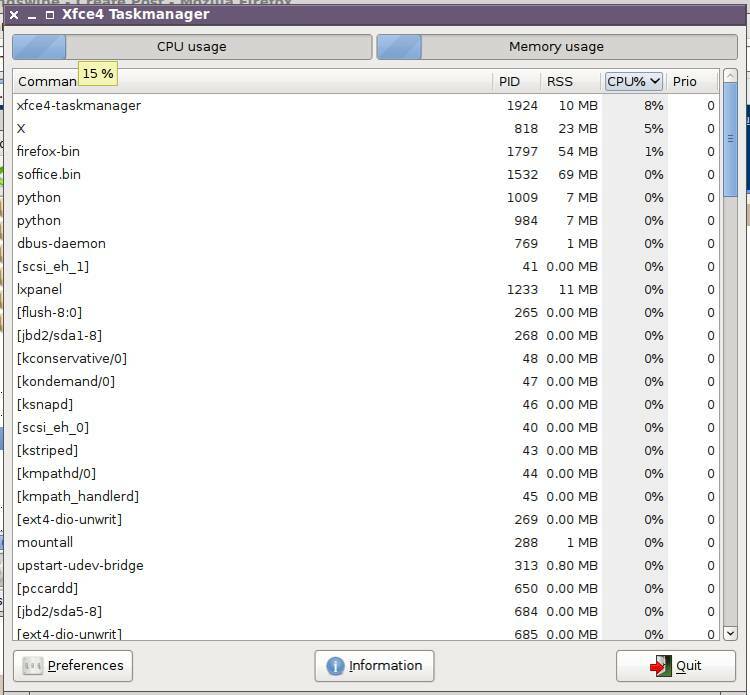 Hover over the CPU and memory usage bars and you get tooltip display in %. 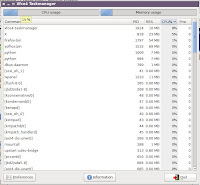 I am more than happy to read a post about the Xfce task manager. You may not know, but I'm currently rewriting this application and a first beta is already available.